Sakai Guides and DocumentationSakai Complete User Guide PollsHow do I add a new poll? Zoom: Compose your poll question and instructions. Enter the poll question in the box marked Question. Add additional information in the Rich Text Editor below if needed. Specify the opening and closing dates and times. You may enter the date in the text box, or you may use the calendar icon to the right to bring up a pop-up calendar for selecting your date and time. Indicate limits on the minimum and maximum number of answers selected. 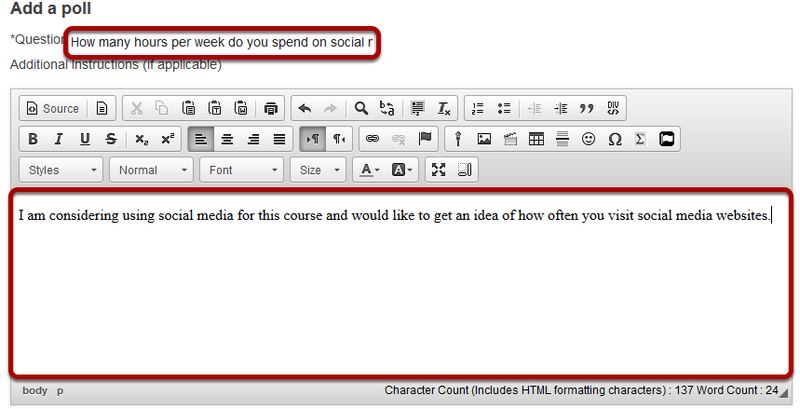 Zoom: Add the first answer option. Enter the first answer option in the rich text editor. Click Save and add options. Zoom: Add the second answer option. 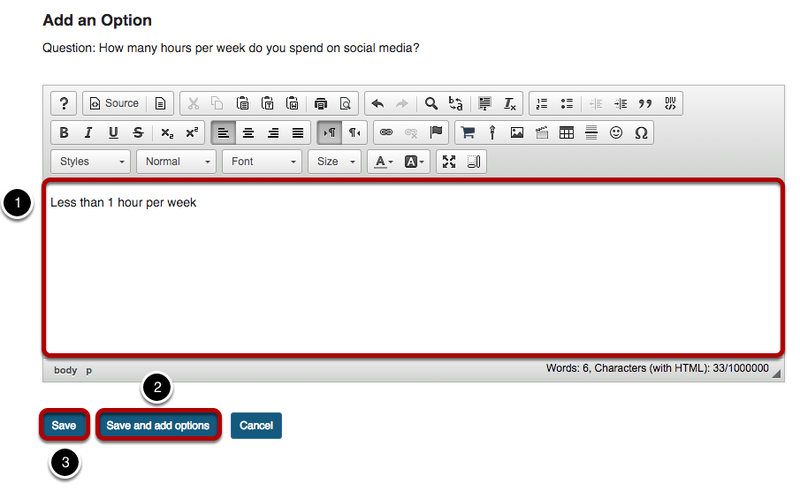 Enter the second answer option in the rich text editor. Click Save and add options. 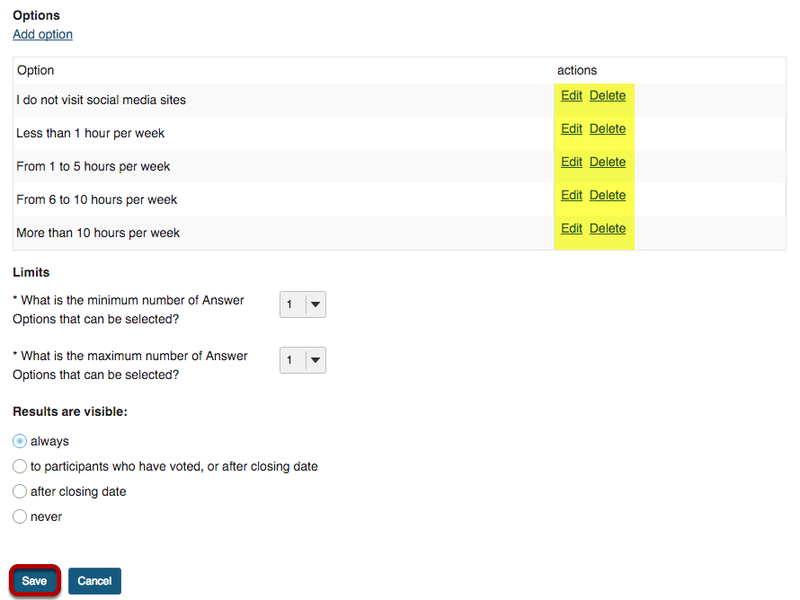 Continue this process of saving and adding options until you have added all of the options for the Poll question. On the last option click Save. 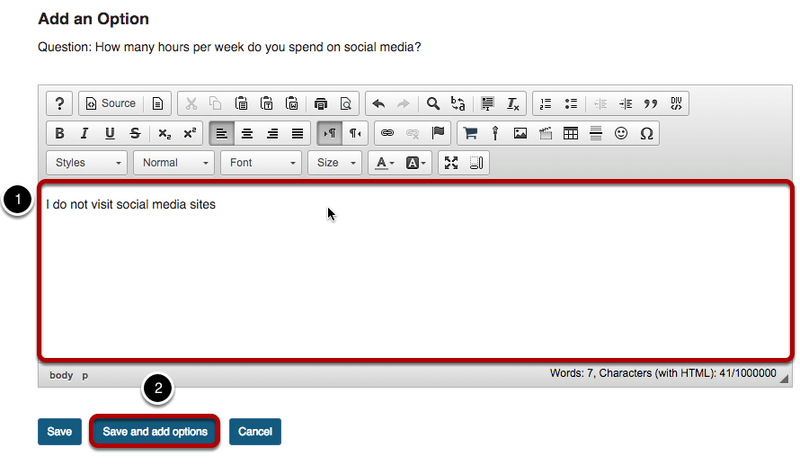 This will display the Edit a poll page with the poll options listed. Review poll question options and Save. 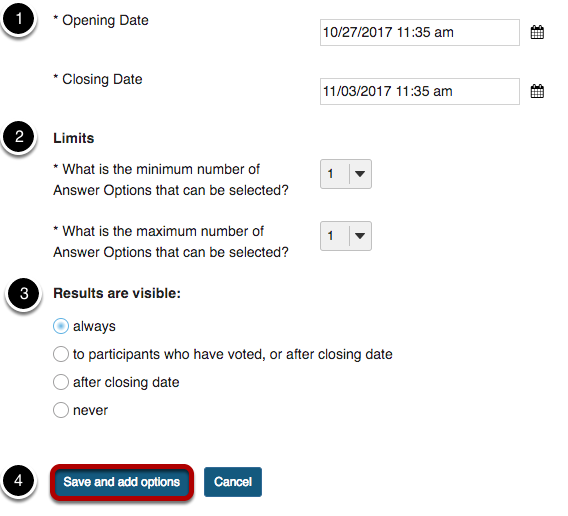 Zoom: Review question options and click Save. Note: If you need to add another option, click on the Add option link. If you need to edit or delete an option, click on the Edit or Delete links to the right of the option text.